This elegant eggplant satin bed skirt features split corners to allow for bedposts or crib posts and comes in twin, twin xl, full, queen, olympic queen, king and California king. Also, in crib and daybed sizes and from 12" to 24" in skirt drop lengths and with optional matching pillow shams. Matching eggplant satin items include: pillow shams, valance and accent pillow. 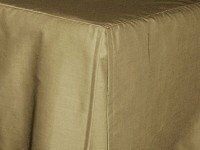 To receive a fabric sample of this eggplant satin bed skirt, please send us your request to fabricsamples@pacificstarproducts.com. Please be sure to include the item id. Limit 5 swatches per customer. 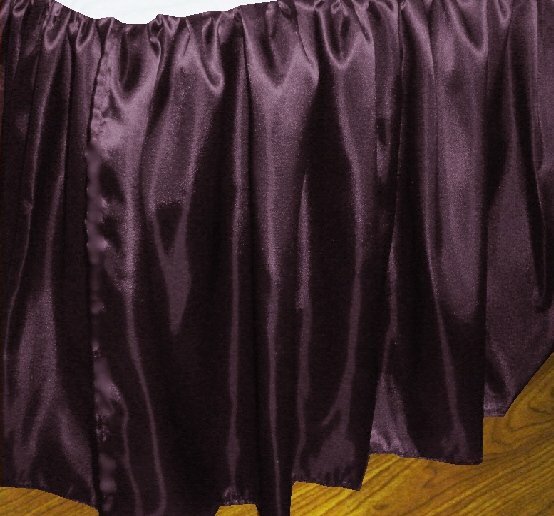 More on this eggplant satin bed skirt: item guide.